Can you match the Yorkshire Coast attraction with the miserable Tripadvisor review? What do you think of these attractions? Although many leave Scarborough with smiles on their faces, some visitors take to Tripadvisor to share their disappointment with some of the attractions. 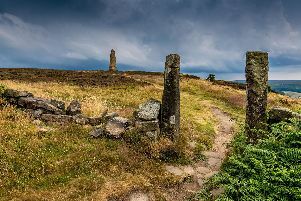 From Peasholm Park to Whitby Abbey, there are a range of attractions and places to see along the North Yorkshire coastline that see visitors flock to the seaside. The TripAdvisor website can be a great source of recommendations, but it also attracts reviewers with unrealistically high standards, who dish out one-star reviews to even the most celebrated of attractions. We take a look at some of the one and two star reviews of landmarks and attractions in both Whitby and Scarborough to find out why visitors thought their experience was so poor - and sometimes their reasoning is ridiculous and hilarious!